Here we go! 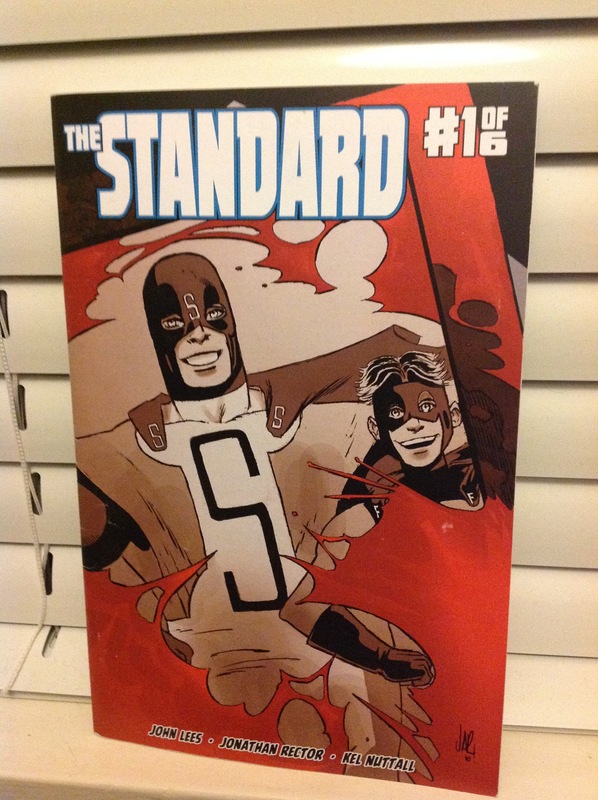 The ominous cover to the thrilling first issue of THE STANDARD by series artist Jonathan Rector. It’s funny, I now associate that series cover from the previous page so strongly with the first issue (it ran as the issue #1 cover on the Diamond release) I forget that, as bold and iconic as it was, it wasn’t our original issue #1 cover. This image here was the first one cooked up for our opening chapter. 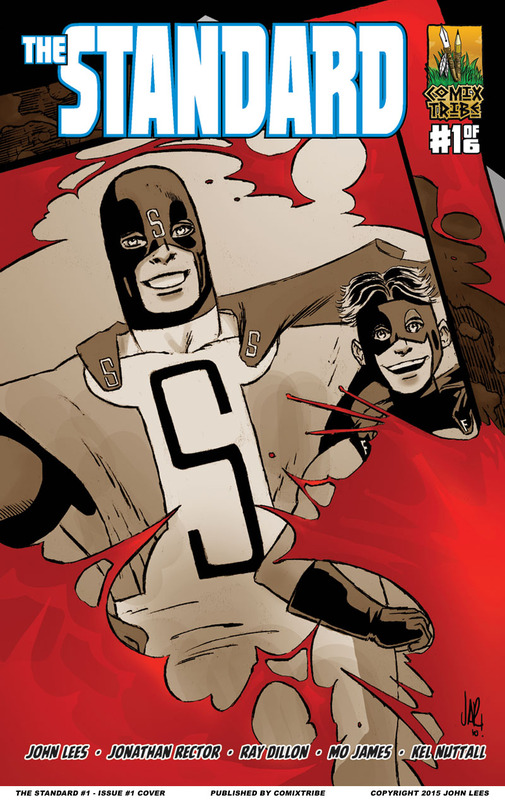 This cover – drawn and colored by the mighty Jonathan Rector – was first completed in the summer of 2010. It adorned the front of the first ever edition of THE STANDARD #1, printed back in the summer of 2010. I had 50 copies made at a local printing shop here in Glasgow. They’d never made a comic before, but I was very pleased with the final product. I can still clearly remember the raw joy of journeying home with a big box filled with a comic I’d made. I’ve since had many other boxes with my books in them arrive on my doorstep, but that ecstatic feeling never goes away. Those books were taken with me on a trip to San Diego Comic Con. I was just attending as a fan, but it was my first experience of going to a convention in anything resembling a creator capacity, as I eagerly handed out my copies to various editors and some of my favourite creators, hoping for feedback or maybe to have some publisher discover me and pluck me from obscurity to propel into superstardom. Oh, how little I knew! To this day, some of my closest friends – both at home and abroad – will remind me that they have copies of this very rare first edition, and joke that they’ll be worth a fortune one day when people are flocking to see AND THEN EMILY WAS GONE IV: THE QUEST FOR PEACE in cinemas worldwide. I still have a few copies sitting on a shelf in my wardrobe. Every so often I like to take them out and look at them as a reminder of how far I’ve come and how much work I’ve done since then. Want more THE STANDARD right now? Why wait? 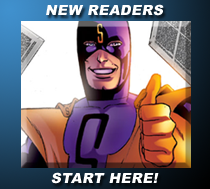 Join our THE STANDARD mailing list, and we’ll give you the first 28 page issue right now, absolutely free! Why Wait? 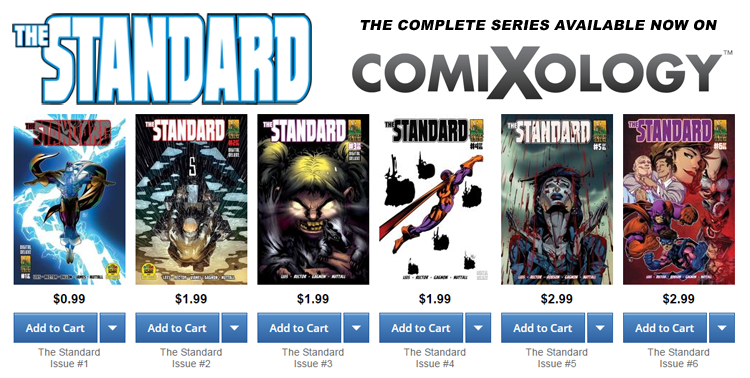 Download THE STANDARD #1 for FREE Now!